With NFC authentication for Windows Phone, NT-Ware - the Solutions provider owned by the Canon group - has developed a system that combines hardware and software to facilitate secure authentication. NFC technology enables identification from a Windows Phone application via the uniFLOW MiCard multi card reader. This allows Windows Phone users to replace their proximity card with their smartphone to be able to authenticate themselves on a compatible MFP with a MiCard card reader and secure personal and release print jobs, and to use the many features of uniFLOW. 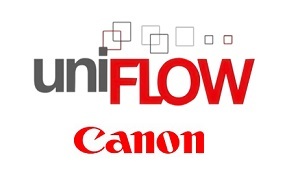 For full details of uniFLOW and to identify the compatible machines - see your DMO!